CHANEL Robertson Boulevard Nail Colour Collection. 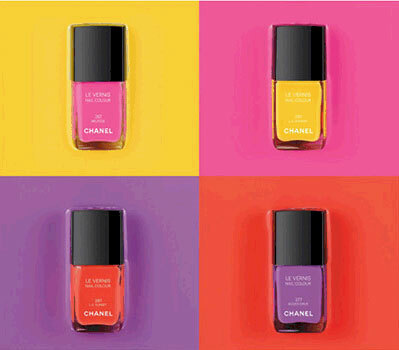 You know you will want this colour collection from CHANEL. It is the new and exclusive to the Robertson Boulevard CHANEL Boutique to coincide with the opening of their newest boutique. The four limited edition shades in the Robertson Boulevard Nail Colour Collection will be sold exclusively in-store at the Robertson Boutique starting on May 30th, but will become available online to the masses come July. You can jump on the waiting list now at CHANEL.com. Each colour will retail for $25 - but worth it I am sure. Which color are you looking for? Beauty Duty - May 6th.